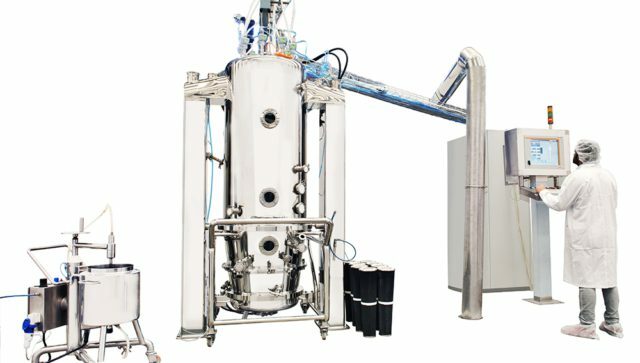 NicoBed ™ Fluid Bed Dryer – Granulator combines unique design with unmatched granulation performance. 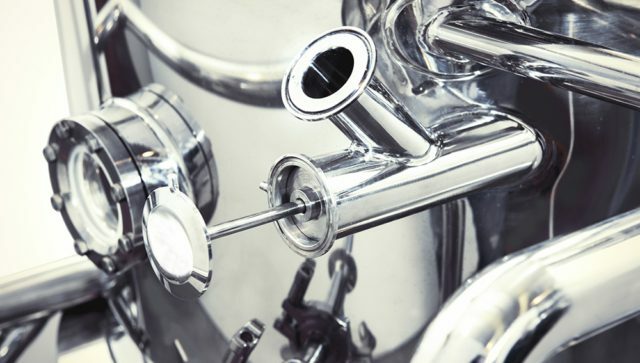 Our system has achieved worldwide success in both the Pharmaceutical and API industries. Nicomac Nicobed™ unique TWISTER™ design which pushes the air in controlled motion through the product bed. 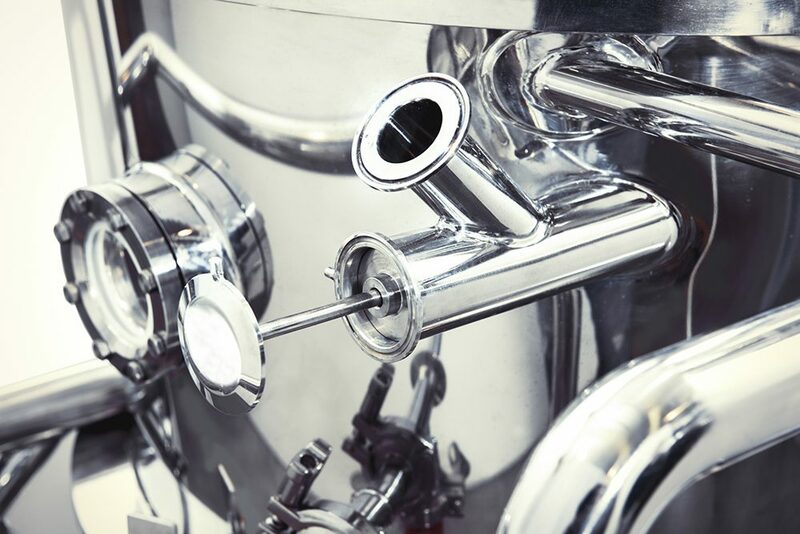 In this way it guarantees uniform granulation and reduced process times. 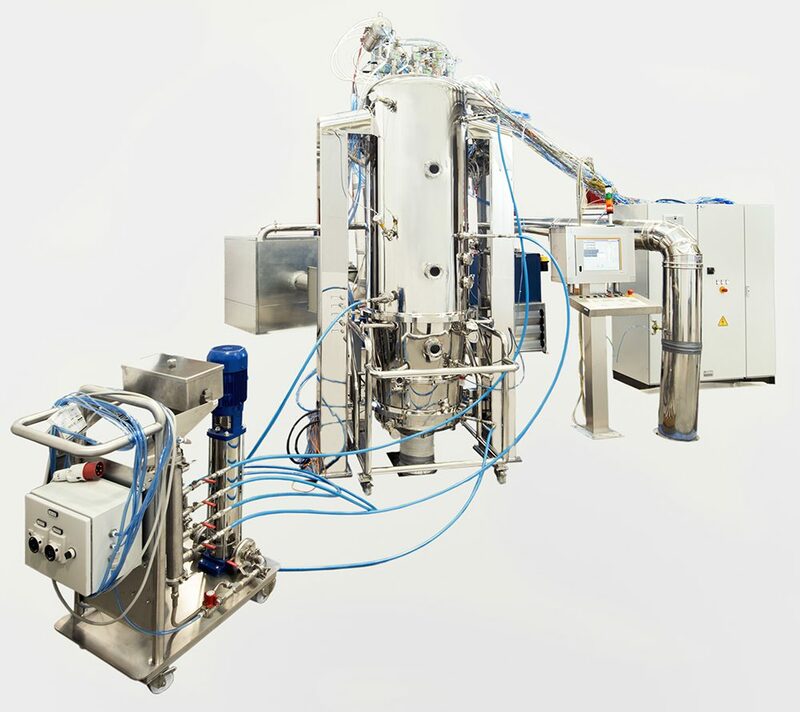 The winning key Nicomac fluid bed dryer with the TWISTER™ system, it. 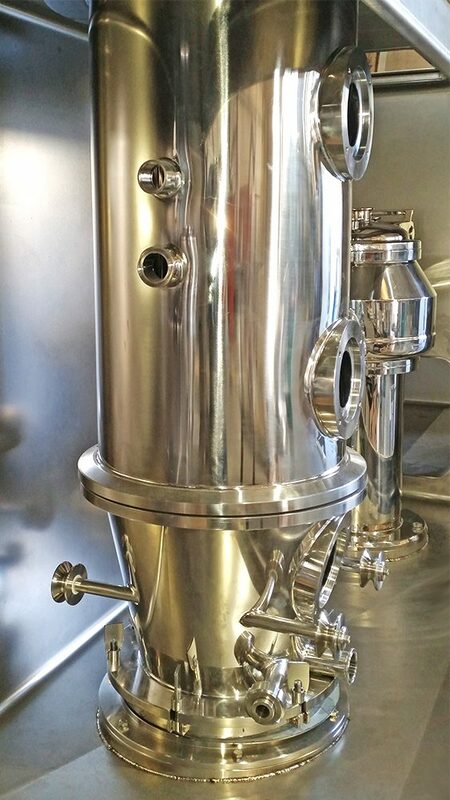 Patent pending, is the right combination of an accurate controlled air direction flow with the exact air speed to minimize the pressure drop in the fluid bed, to ensure a perfectly balanced process preventing granule agglomeration and allowing a uniform and fast growing of the granule with low and controlled moisture residual. 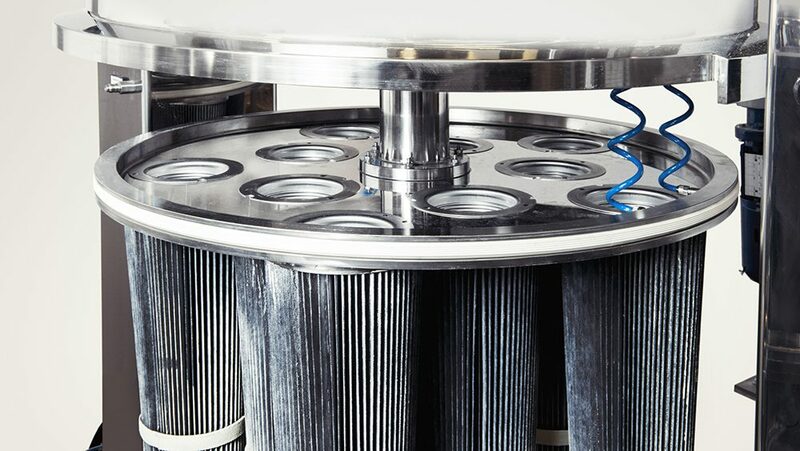 The TWISTER™ action, with low pressure drop, improves the efficiency of the filters of the dryers and allow very fast process. 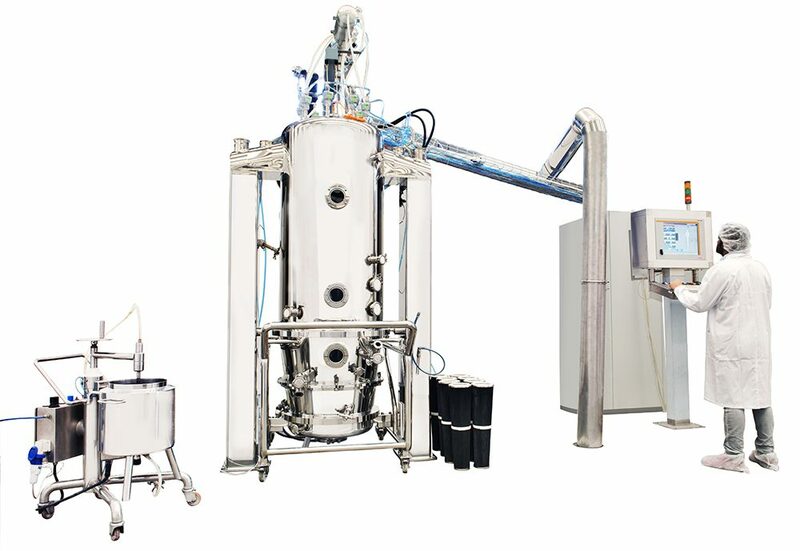 Fluid bed dryers can be provided with automatic dosing system for binding solution. Unique “AIR BUBBLE SYSTEM” guarantee even distribution that does not require size calibration. Fluidized bed drying process is controlled with a balanced drying system, air flow controlled by means AC frequency control and monitoring on line humidity inlet out let air. The Nicomac design allows an easy validation process. Clean-in-place either through a built in system or through Nicomac CIP WIP movable Skid ™. 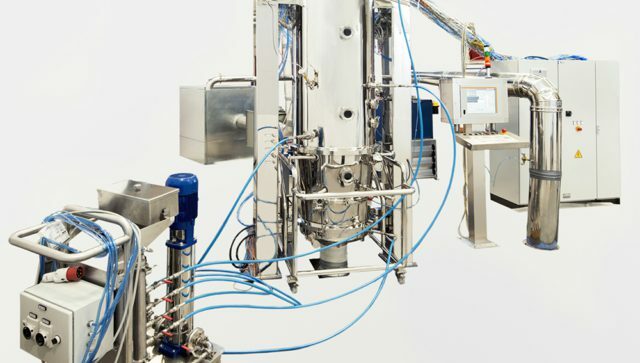 Nicomac fluid bed can be designed to be installed in high containment granulation lines for both R&D labs or production. 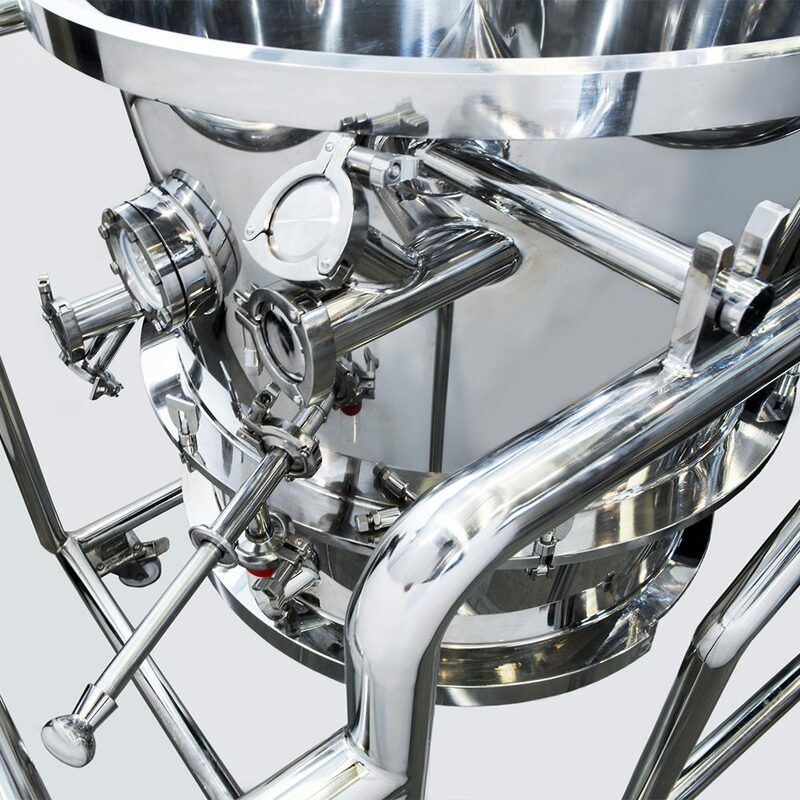 Please call us to discuss your granulating requirements. We will be glad to arrange a trial demonstrating the high performance and high quality of our granulating systems and provide a highly competitive proposal.